A new initiative has been announced by the Delhi Government. Under this initiative the government has announced to offer the facility of availing free Dialysis within major selected Private Hospitals in the Capital. The state government has recommended offering patients suffering from Kidney malfunctions, with options to avail for free Dialysis that will be provided via Dialysis centers and selected privatized health centers in the Capital City. As per the local government, the process of implementation of the programme within Delhi will be done as per PPP (Public – Private Sector Partnership). The implementation will be followed immediately after both sectors agree on certain important coordination terms and conditions. The scheme would be regulated entirely by the Delhi state government officials and health department. The government shall be offering with free facilities for undergoing dialysis for deserving patients in Delhi. But to take benefit under this scheme, some eligibility criteria need to be fulfilled by both Hospitals and Patients alike. For Hospitals – In case any Health Center, Dialysis center of Private hospital wants to be a part of this scheme to take its benefit, then some conditions need to be met before partnering with Delhi Government. The facility will be offered by the state government only to selected private hospitals, health centers or Dialysis centers who are already equipped with facility for over ten dialysis machines at the centers. To get the facility under this scheme the government has also announced that private centers and dialysis centers who want registration under this scheme should be registered under CGHS (Central Government Health Scheme) or DGEHS (Delhi Government Employees Health Scheme). For Patient – If any patient is willing to take full benefit of this particular government scheme, then he or she must fulfill below mentioned criteria before registration under this scheme. The facility will only be availed to the patient who is a local resident of the City. 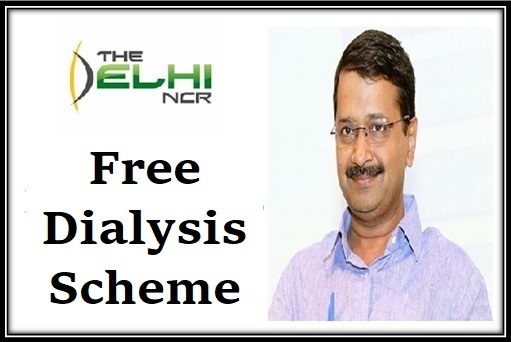 In order to claim for the benefit of free dialysis he or she may have to prove their domicile ship in Delhi. They need to hold their permanent residence in Delhi City. It is also important that the person who wants to avail the benefit under this scheme will have to prove that he or she has not moved out of Delhi for past 3 years. This means that the beneficiary will have to prove that for at least three years, he was residing within the State. The benefit will only be offered to any patients who does not have any other source of income that exceeds over Rs 3 lakh per annum basis via job or any other source. They will have to submit a copy of their annual house hold income. AIM – By implementing the scheme, the Delhi state government aims at improving the facilities that are provided to the poor and deserving people. The main aim of the government is to offer with facility for opting free dialysis in selected privatized hospitals that are nearby to their locations. Free service – As the facility will be offered by most private hospitals, dialysis centers and health care centers so the patients will get the benefit of using free of cost facility and at the same time save additional money that they otherwise would have to spend on travelling to far off hospitals. For being a part of the scheme the state government shall also be paying Rs 1274 to each of the selected Privatized hospital. The amount will be paid by the government under the Delhi Arogya Kosh account for each dialysis conducted at the hospital or center. To make the scheme effective the government has also installed over 15 additional dialysis machines in various dialysis centers and government hospitals. The government has also set a budget to install over 60 additional machines in other selected hospitals. The government, during the implementation stage will also distribute patients and beneficiaries with free dialysis cards that will help in reducing the time for undergoing treatment. The government shall also take an initiative to refer the best hospital within the locality to the deserving patient so he or she can opt for immediate assistance. The government via its expansion mode has ensured that more number of privatized and government hospitals be linked under this scheme after NABH accreditation. Though Delhi authority started Dialysis Scheme with few government hospitals, it has now brought seven private medical treatment centers under the scheme as well. This announcement was made on 17th July, 2018. All individuals who have lived within the boundaries of Delhi for last 3 years and earn less than 3 lakhs on an annual basis will be able to get the benefits of this scheme. The seven private treatment centers collectively have 101 dialysis apparatuses. Kalra Hospital (Kirti Nagar) are the seven empaneled private hospitals.